MOUNT OLIVE- Many students say they immediately feel at home when they first visit the University of Mount Olive (UMO). Bethany Rawls of Oriental, NC agrees that it was the same for her. Although a few of Rawls’ family members are UMO alumni, the University really wasn’t on her radar of potential colleges until she made that first visit. “After my first tour, I knew without a doubt that UMO was the right choice for me,” Rawls said. “I attended a small high school, so UMO felt warm and inviting to me.” She enrolled in the fall of 2015. Rawls is majoring in elementary education and minoring in English. UMO’s growing education program was one of the deciding factors for Rawls. While attending UMO, Rawls has been a member of the Honors program and has traveled internationally with the group to China and to Central Europe. “Both trips were incredible experiences,” Rawls shared. “They brought me closer to my peers, and I am so thankful to UMO for the once-in-a-lifetime opportunities.” She has also worked with the Mount Olive Boys and Girls Club and has served as President of UMO’s Pi Lambda Theta (PLT) chapter. This semester Rawls’ has been student teaching at Carver Elementary School in Mount Olive. Rawls is expected to graduate in December. 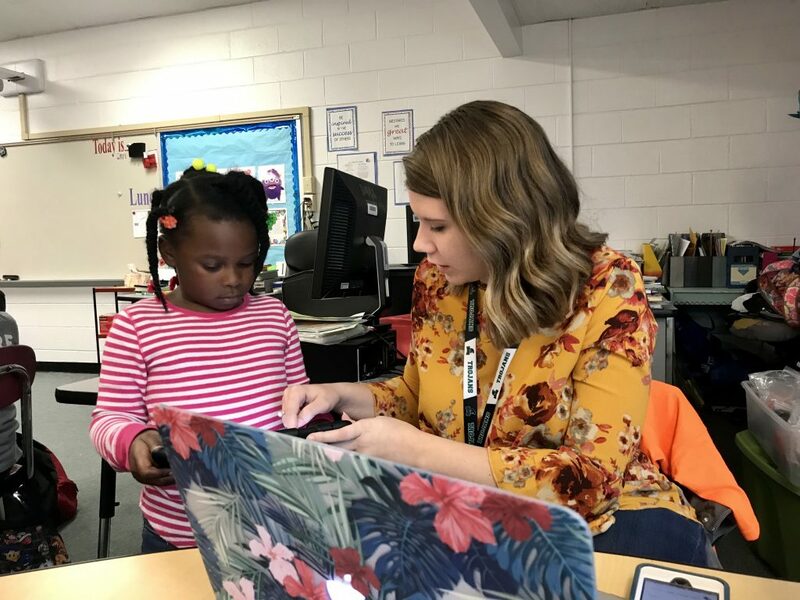 She has accepted a position as a second grade teacher at Arapahoe Charter School in Pamlico County. “I am thrilled to begin teaching immediately after graduation,” Rawls said. Her future plans include pursuing a master’s degree in curriculum instruction and eventually working in administration. She is also motivated by her own desire to make a positive impact as an educator. “I know that if I want to make an impact in the world, I must be willing to go out and do something,” she added. “While at UMO, I have gained self-confidence and essential leadership skills. My time here has helped me to step out of my comfort zone in so many ways. I have developed lifelong friendships. I will forever be thankful for UMO and the impact this special university has had in my personal growth,” Rawls concluded. Rawls is the daughter of Phil and Linda Rawls.